For the last 5 years I have been writing down this dressing for my lovely patients, often hoping they can read my writing! I recommend this Magic Dressing to so many patients that it is finally time to write it up properly. 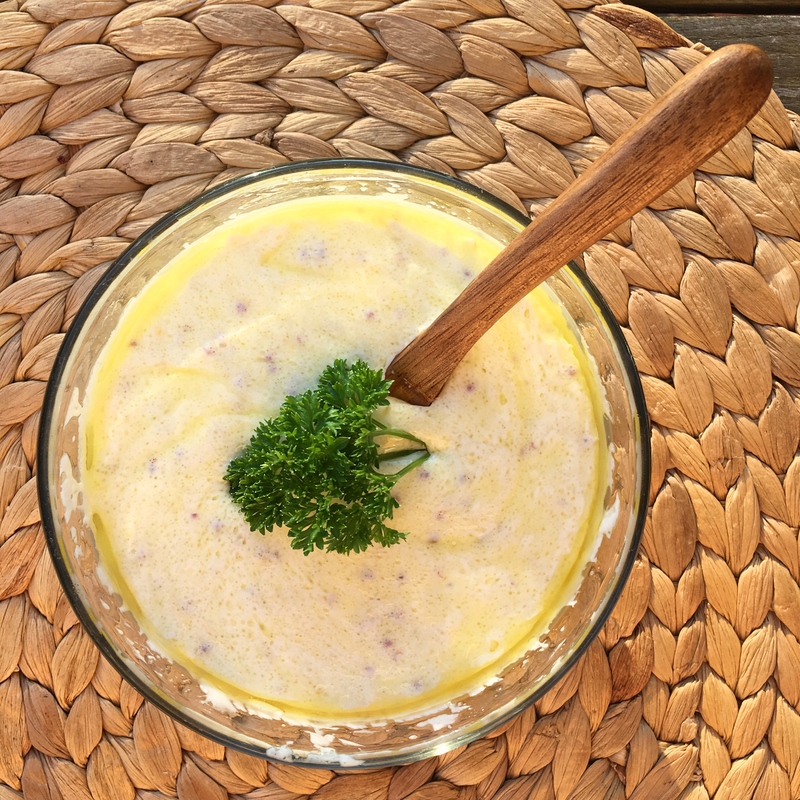 At a recent talk I did on inflammation, I spoke all about the research on extra virgin olive oil and on garlic; this dressing is a great way to combine the two. Part of the wonderful healing benefits of the Mediterranean diet come from the abundance of extra virgin olive oil they eat. It is absolutely essential to ensure it is EXTRA VIRGIN oil. Ideally, it should come in a dark glass bottle to protect it’s antioxidant content. Garlic contains an organosulfur compound called allicin, which is responsible for its immune boosting and anti-microbial properties. Allicin is released when the cell wall of the garlic is broken, which is why it is important to chop the garlic finely. The Magic Dressing is called ‘magic’ because it doesn’t matter how much you make it always disappears! It is a great dressing to go on salads, steamed vegetables, baked sweet potatoes, on top of stews or on casseroles; in fact, pretty much everything! It can be stored in a glass container in the fridge, and should last as long as the shelf life of the yoghurt. We hope you enjoy! Combine all ingredients in a bowl and mix well. The longer (and quicker) you mix it, the more it combines and mixes together.